Susan and Kitty are schooling you on the Top 10 Fictional Schools in pop culture. From prestigious prep academies to borderline lethal boarding schools, which esteemed educational institutions will make the grade? Today, we’re headed back to class and schooling you on the Top 10 Fictional Schools. We’ve done our homework and compiled a list of some of the most prestigious prep academies and borderline lethal boarding schools that pop culture has to offer. Listen along to find out if your favorite esteemed educational institution makes the grade! So, this isn’t a real school, nor is it even a real place. The Jedi Academy takes honorable mention mainly because the only place it is legitimately canon is in a video game and perhaps the Disney Parks. It’s mostly the Jedi Temple and Jedi Archives where younglings and Padawans can refine their craft. As you all know, once one becomes a Padawan, the ‘school’ is really more of an apprenticeship situation and there isn’t really a physical academy where you attend and take classes. Hence, the Jedi Academy honorable mention. Hill Valley High is the All-American high school of the Back to the Future series as the alma mater of both George and Marty McFly. In 1955, the school was host to the Enchantment Under the Sea dance in the gymnasium, and in 1985 they hosted a Battle of the Bands competition. The school endures through most of the BTTF timelines, except in the altered 1985 where Biff controls Hill Valley- the school burned down in 1979 in this timeline. Their mascot is the Bulldogs. Sitting atop the Hellmouth, Sunnydale High is where Buffy learned to slay! Tons of other important things have happened there too, but really that’s the big one. Willow became a witch, Xander fell in love with a demon, and Giles is the best thing that ever happened to us – no? Just me? Giles, the librarian at Sunnydale High and Buffy’s watcher, is amazing! But really, Sunnydale made the list because of the pure weirdness that comes along with having high school happen on top of a Hellmouth! Springfield Elementary is the elementary school in The Simpsons, though it’s not clear which Springfield the school resides in. This school is often the site of many of Bart Simpson’s pranks, and is famously featured in the title sequence of the show while Bart writes lines on the chalkboard. The school is underfunded and its students constantly underperform. Notable faculty include Principle Seymour Skinner and Groundskeeper Willie. Their mascot is the purple puma. Also known as the Midtown School of Science and Technology in the Marvel Universe, Midtown High is not only the Alma Mater of Peter Parker, but also of Jessica Jones, Liz Allen, and Cindy Moon! The school not only exists in Earth-616, but in the Ultimate Universe (Earth-1610) where Gwen Stacy, Mary Jane Watson, Eddie Brock, and Harry Osborn also attend. 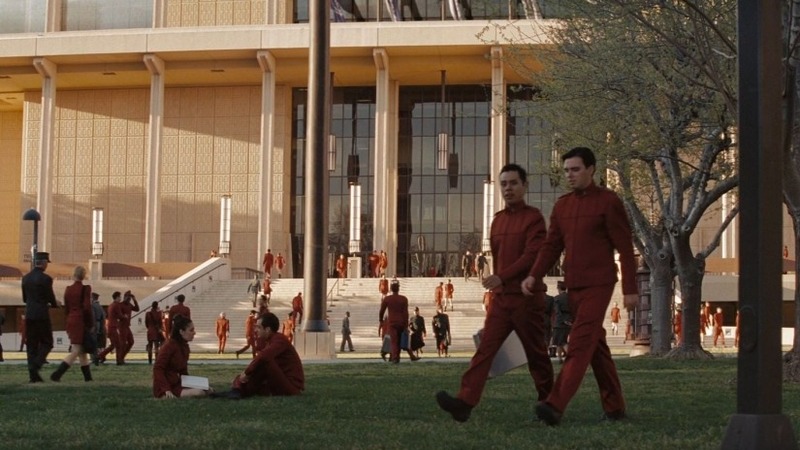 This school made the list because of how often it appears in Marvel comics, and it is constantly being used as a setting in the cartoons and movies. Super Hero High is the DC Universe school for superpowered, super smart, and ambitious students in the DC Super Hero Girls franchise. It’s located in Metropolis, and faculty include heroes and villains like Gorilla Grodd, Granny Goodness, and Comissioner Gordon. The school offers a wide variety of classes for its teenage heroes, including Flyer’s Ed, Intro to Super Suits, Weaponomics, and Poetry. Current students include Batgirl, Supergirl, Harley Quinn, Animal Man, and Cyborg, and graduates include Superman, Plastic Man, and Dr. Midnight. In this case, the ‘academy’ in Umbrella Academy is mostly in name only. However, the Umbrella Academy heroes do have a physical headquarters, and that place is where higher learning happens. In Gerard Way and Gabriel Ba’s original comic from 2007, the Umbrella Academy is formed by Sir Reginald Hargreeves, as he teaches miraculously-born babies how to use their super powers. After he dies, it’s up to the Academy to save the world from an impending apocalypse- hopefully the team learned enough while Hargreeves was alive! Not to be confused with the real world amusement park, King’s Dominion is the lethal boarding school that teaches the children of murderers and mob bosses the deadly arts in Rick Remender and Wes Craig’s Deadly Class comic series. The school is located in San Francisco, and students are taught to be the next generation of hired assassins for crime families across the globe. Instead of Glee Club or Chess Club, the school offers a number of fighting factions, including the Kuroki Syndicate, the Final World Order, the Soto Vatos, and more. Deadly Class is now a live-action series on the SyFy Network as well. Starfleet Academy is serviced and maintained by the United Federation of Planets. Founded in 2161, Starfleet is located near the Golden Gate Bridge near the Fort Baker area. Located at 1407 Graymalkin Lane in Westchester County, New York, this school for mutants has gone by many names- Xavier’s Academy for Gifted Youngsters, the Jean Grey School for Higher Learning, X-Haven, and most currently the Xavier Institute for Mutant Education and Outreach. This school provides a safe place for young mutants to receive education both in traditional schooling and also the control and understanding of their powers. Kitty Pryde is currently the headmistress. The school motto is “Mutatis Mutandis” meaning “once the necessary changes have been made”. 1. You want to go to Hogwarts and 2. J.K. Rowling is a genius. Hogwarts is the wizarding school that services the UK. Students receive their letters at age 11 and then attend Hogwarts for the next seven years, taking everything from Potions and Transfiguration to Divination and Defense Against the Dark Arts. Many fans eagerly identify with one of the four houses themselves, and countless types of branded merchandise have been created so the most devoted ‘Potterheads’ can transform their rooms, kitchens, and wardrobes to boast their house pride. The world has expended beyond the castle walls into multiple theme parks and even the notion of wizarding schools around the globe. Whether you came in with the books, the movies, Fantastic Beasts, or Cursed Child, Hogwarts sparked something inside you and no matter how far you wander, Hogwarts will always be there to welcome you home. Did you miss any of our previous episodes, including Top 10 Marvel Mercenaries and Top 10 Stan Lee Cameos? You can check out the full Geek Culture Countdown podcast on iTunes. We are proud to bring you pop culture content completely AD FREE, but that doesn’t mean we don’t need your support to help keep us going. If you enjoy the Geek Culture Countdown, please take a moment to leave us a 5-star review on iTunes, Spotify, or your favorite podcasting platform and help spread the word about our podcast. Be sure tune in for our other pop culture podcasts: See your favorite comic and film characters evolve across two generations in the bi-weekly Then & Now podcast. Hear exclusive interviews with celebrities and pop culture industry leaders as they let their geek side show in Look Who Showed Up. Then, get all the latest pop culture news with our Daily Briefing, a two-minute breakdown of the biggest geek headlines perfect for your Alexa or Google news briefings.